Our attorneys stay abreast of technological advancements and frequent changes in the law associated with strict liability and tort liability exposure. 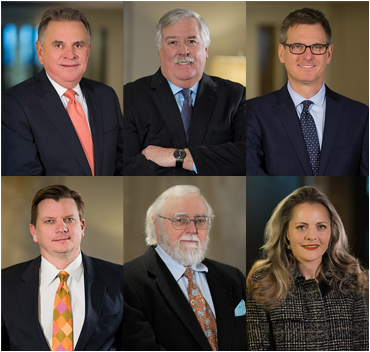 At Secrest Hill Butler & Secrest, we have more than 25 years of experience and a superior track record in defending products liability cases in Oklahoma. We have the technical expertise and experience necessary to negotiate, or if need be, go to trial. Products liability is one of the most sensitive legal issues we handle. Our lawyers have significant experience defending and protecting clients in these cases throughout Oklahoma. Products liability claims frequently present adverse publicity risks and product recalls. With such sensitive matters, we pride ourselves with extreme professionalism, patience and a very modern approach to litigation. If you are an insurance company looking for a Tulsa products liability attorney to refer a case to, a self-insured corporation, or a local business with litigation threatening, contact Secrest Hill Butler & Secrest online. You can also reach us my calling our law office at 918-494-5905. One of our lawyers would be happy to speak with you.